Solar Charge Controller – Why Do You Need a Charge Controller For Home Solar System? Home/Homemade Power/Solar Charge Controller – Why Do You Need a Charge Controller For Home Solar System? One of the key components of a residential solar power system is the battery bank. The function of the batteries is to store the electric current generated by the Photovoltaic (PV) panels during the day so it can be used to power your home electrical appliances when the sun is out. However, charging the deep cycle batteries used on a home solar system can be quite tricky. Too much power from the solar panels going into the battery will damage its internal plates. Therefore, what you’ll need is a battery charging regulating device, or a charge controller. 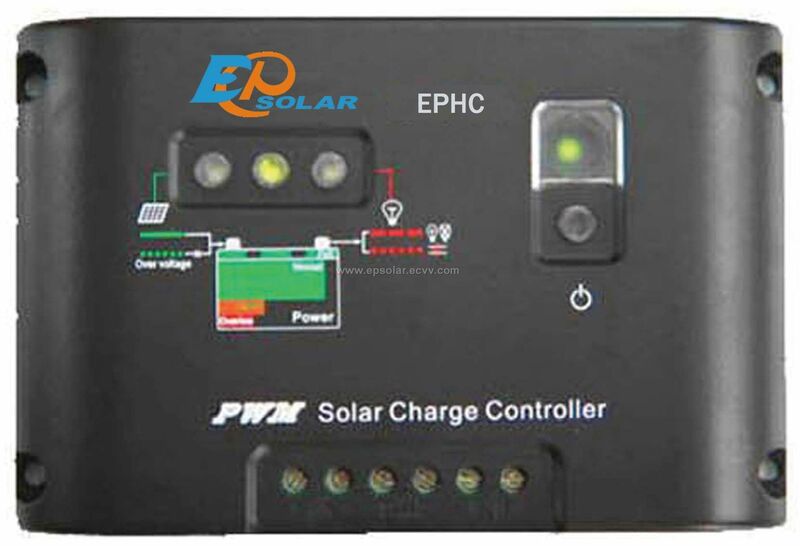 The main role of the charge controller is to fully charge the deep cycle batteries by drawing power from the solar panels and automatic stop charging when the battery is full. Another function of the charge controller is to prevent any backflow of current. During the day when the sun is shining, electric current will flow from the solar panel into the battery. However, during night time, the solar panels will actually act as a load and draws power from the battery bank. This is known as current backflow. If you do not take step to stop current backflowing, all the stored power in the battery will be consumed by the PV panels. Other than acting as a charging limiter, a charge controller also has a feature to prevent reverse current flow at night. How does a solar charge controller works? Inside the controller, there is a transistor that shunts the charging circuit at a preset level. When the preset voltage level is reached, the shunt opens therefore stopping the current flow. It is the same in the reversed process. When the voltage drops below a preset level, the shunt will close and completing the charging circuit. So, when the power stored in the battery bank has been used, the charge controller reconnects the circuit and initiates the charging process. The entire process is automated therefore freeing you from having to look at the battery voltage level constantly. Do you want to know more on Do It Yourself (DIY) home solar power system? If you do, feel free to download a free copy of the 30 Solar and Wind Power For Homes Videos e-book. The e-book consists of videos showing you all the parts and components needed for a homemade solar and wind power system. Click on the link below to download the e-book. ==> Click here to download e-book now! 1) My Solar Plans Review – Another Scam Product?